In a bar in a remote part of western Ireland three local lads (in various stages of middle age! ), together with the landlord are swapping spooky stories to impress an attractive young woman, Valerie, recently arrived from Dublin. What begins as a simple visit to the local pub soon turns out to be an evening of both funny and spell-binding stories, until the final tale, told by Valerie herself, takes a strange and unexpected twist and changes the whole mood of the evening and marks a significant shift among the chemistry of the group. McPherson was born in Dublin, the son of a business and accounting teacher. 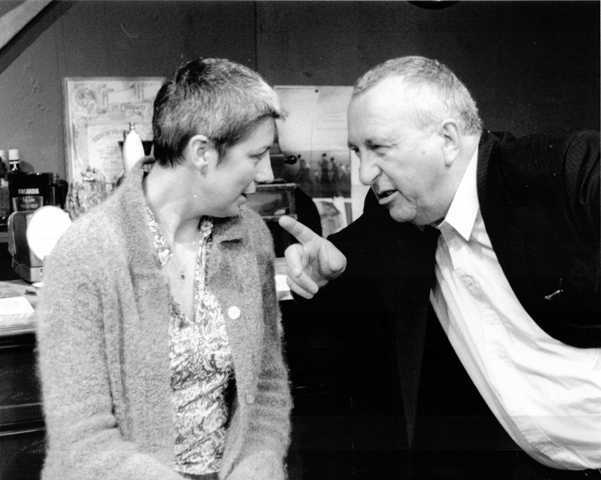 Educated at University College Dublin, McPherson began writing his first plays there as a member of UCD Dramsoc, the college's dramatic society, and went on to found Fly By Night Theatre Company which produced several of his plays. He is considered one of the best contemporary Irish playwrights; his plays have attracted great critical acclaim, and have been performed internationally. His plays include 'This Lime Tree Bower', 'St. Nicholas', 'The Weir', 'Dublin Carol', 'Port Authority', 'Come on Over', 'Shining City' and 'The Seafarer'. 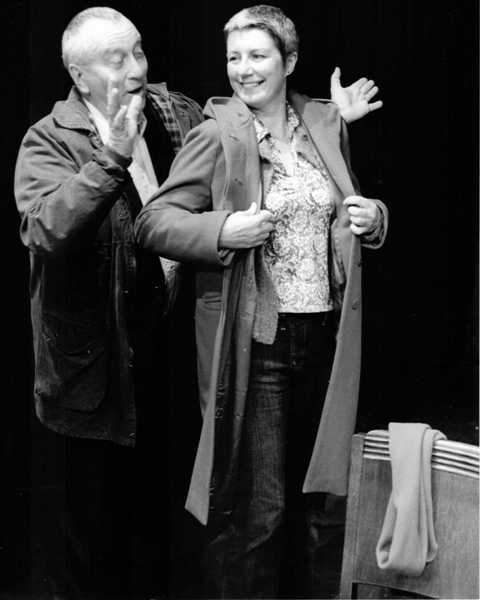 McPherson won the Critics' Circle Award as the most promising playwright in 1998. He has also won Olivier Awards, Evening Standard Awards, George Devine Awards and Critics' Circle Awards for his work. As a writer and director his films include 'Endgame', 'The Actors' and 'The Eclipse'. 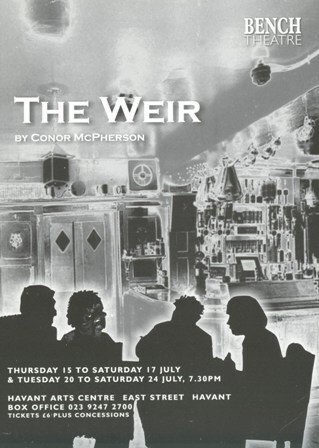 'The Weir' is set in a small rural bar in the west of Ireland. There is the proprietor and three 'regulars'. They know each other well, swap stories, drink and generally enjoy the 'craic'. But this night there is a difference. A young woman has just arrived in the district from Dublin - one of the four has arranged a property for her and is showing her round, giving rise to wagging tongues. She however is a model of pleasantness and restraint. The three customers tell stories, all with a supernatural element, perhaps to impress Valerie, perhaps to give her the 'flavour' of the region but other possibilities emerge. The stories increase in seriousness and expose aspects of the tellers, vulnerabilities perhaps. Valerie then reveals a desperate experience in her own Dublin background and this immediately challenges the attitudes of the menfolk. Something other than the exchange of 'spooky' stories is going on here. 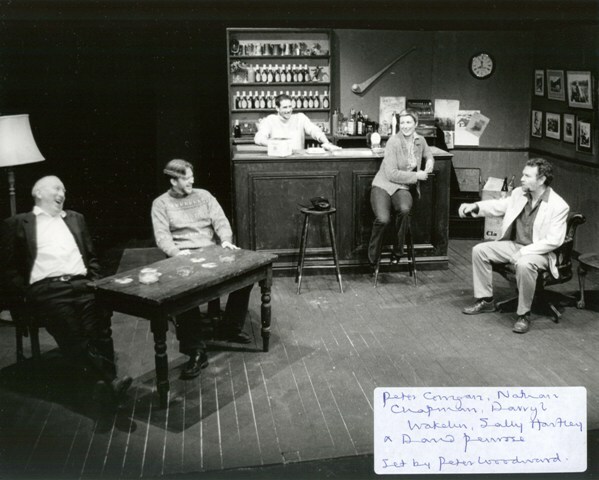 Jack, the oldest of the group, who set the story-telling ball rolling, reveals an episode from his earlier life, which is of an entirely different level of seriousness and highlights how much the mood has changed in the course of the play's duration. 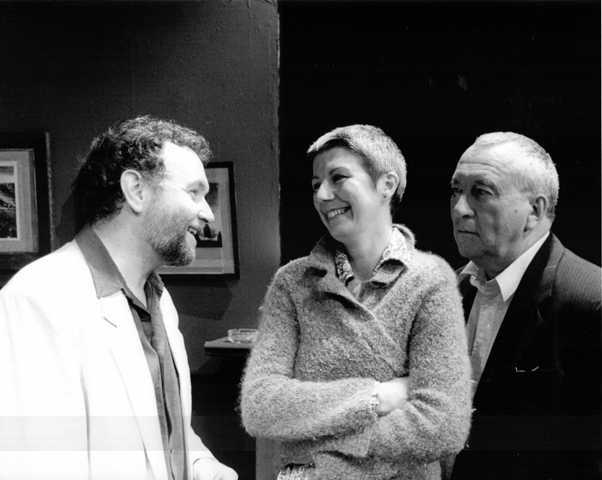 The play was written in 1997 and first produced that year at The Royal Court Theatre Upstairs in London. It first appeared on Broadway at the Walter Kerr Theatre in 1998. A public and critical success it won an Olivier Award as the Best New Play, an Evening Standard Award, a George Devine Award and a Critics' Circle Award. The play is about community; it's about story telling. The two are linked. The four men who gather in the pub know each other from way back; they know each other's weaknesses, their pressure points. These can be exploited, either with geniality and concern - Jim and his dependency on his Mam, Brendan and his dependency on the sisters' decision about the property - or exploiting the weakness - Finbar and his mildly raffish behaviour. They need each other because Leitrim days and nights are long and lonely. They also cherish independence - at least the notion of it. Conversations often revert to this question of how truly independent each is, and this is where vulnerability shows. There is little action. How could it be otherwise? When you're a regular going to your local you don't charge about and too much activity in the process of story telling could dissipate its impact. The key to the production must be to go with the flow of the rhythms, trust them and not impose extraneous business. If this can be made to work the effect should be riveting. It could clearly work on radio but it has to work in the three-dimensional world of the stage where even a minimalist gesture - a glance, a touch on a sleeve - can carry great impact. 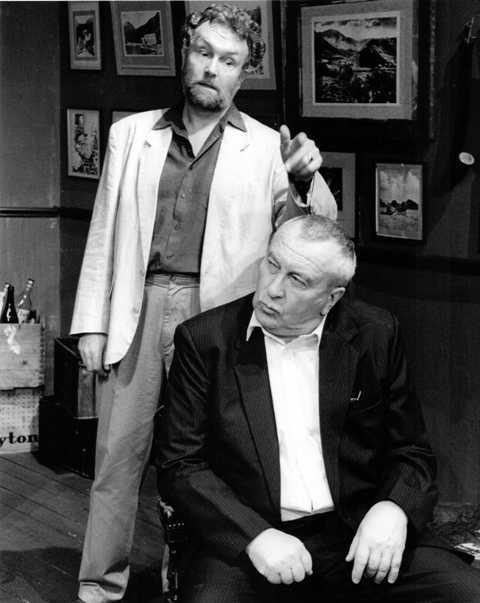 Conor McPherson said, "You see people walking all around in a Tennessee Williams play. They are pouring themselves a drink, sitting down, going up to a window. But people don't walk around when they are having an interesting conversation. They get close and talk. Unless they are very uncomfortable and want to put the kettle on because they are uncomfortable." The stories told here are about exposure. The first, set back in time, exposes Jack's need to be the performer. Thereafter the ante is upped. Finbar in his tale does not conform to the Jack-the-lad image the others have made for him. The younger Jim will see the way the wind is blowing and knows the story he will tell will expose things he would rather keep hidden. His story will not have been told before. Valerie is the catalyst. If she weren't here the stories wouldn't be told. They are not just exercises in spookiness... they are revelations of character. They create an ambiance where she can tell her story - not to impress, or turn the tables but to provide a release of feeling. Release and restraint - perhaps that's where a weir comes in. She is an enabler and Jack's second story is a response to the circumstance she has helped to create and enables him to look in on himself, not out. If she ever was, she is no mere "blow-in" by the end where her decision to stay and her acceptance is a mark of the journey we have travelled in ninety minutes. Why does Brendan not tell a story? If you ask yourself this after experiencing the play and feel satisfied with your answer you may well be getting close, I think, to the play's meaning. Bench Theatre again come up trumps with their latest offering. 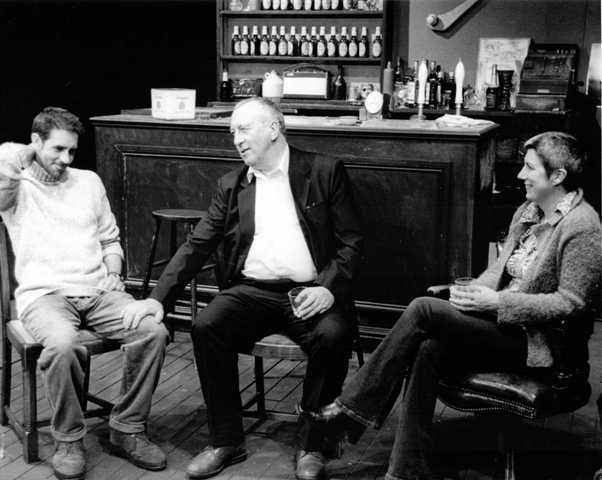 Conor McPherson's piece follows in a long line of modern Irish plays reminiscent of Chekhov's world. Nothing actually happens from the point of view of narrative. 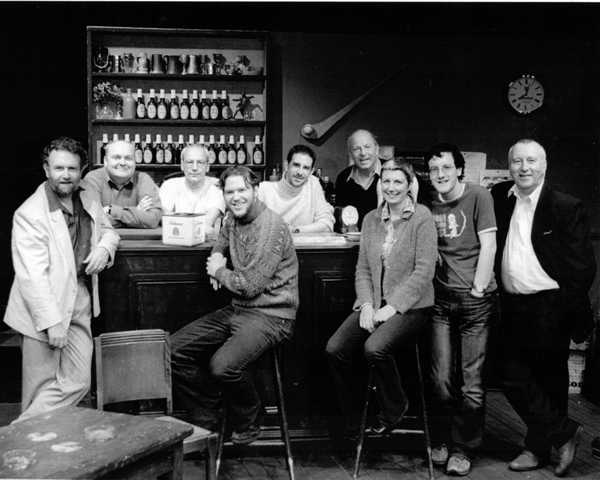 We meet a group of people who fill us in on their backgrounds - but at the end of the play, while much has happened to them personally, emotionally, internally, they leave the bar in which the play is set with their lives moved no real distance from where they started. It's the characters that count, and in this cast there is no weak link. Peter Corrigan's voice - an earthy mixture of bassoon, sandpaper and cigarette smoke - dominates. Good, too, to see two personal favourites - David Penrose and Sally Hartley - giving 100 percent and Nathan Chapman not letting his elders get the better of him in any way. 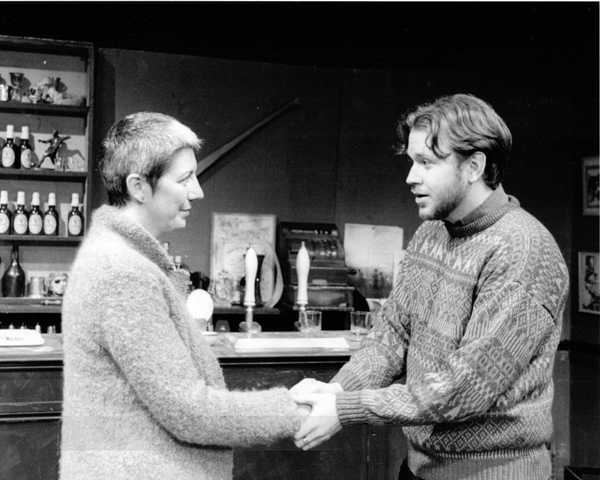 Darryl Wakelin, in the somewhat thankless role of the publican, underplays beautifully. Until Saturday.